PRICE premiums for non-mulesed Merino wool have remained strong at up 53c/kg in the first six months of the 2018-19 auction wool-selling season, the peak national brokers body reported today. Crossbred wool non-mulesed premiums have been less consistent, but up to 12 cents/kg clean for 28 micron wool this season. The National Council of Wool Selling Brokers of Australia said the premiums for non-mulesed Merino wool over equivalent mulesed wool lines averaged between 33 and 53 cents/kg clean for lots 20 microns and finer in the first six months of the 2018-19 season to December. The average non-mulesed premiums for the various Merino wool micron categories this season have been: 16 microns, 53 cents; 17 microns, 44 cents; 18 microns, 33 cents; 19 microns, 48 cents and 20 microns, 46 cents. There was insufficient data for AWEX to report on the results for 21 and 22 micron wool. NCWSBA executive director Chris Wilcox said the premium averages were statistically sound estimates by AWEX. The council said it believed it is vital that all Australian wool producers are informed of the continued strong premiums and respond to the clear demand signals from the global wool textile industry. NCWSBA executive director Chris Wilcox. 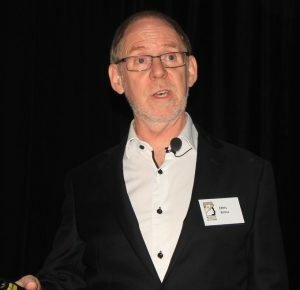 NCWSBA president John Colley said these results show that the strong demand for non-mulesed Australian wool has continued this season. “These premiums of up to 53 cents/kg are much higher than the premiums of between 13 and 30 cents/kg in 2016-17 and are similar to the premiums paid in 2017-18. 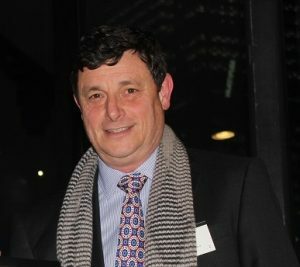 “These premiums for non-mulesed wool are on top of the record prices seen for Merino wool this season,” he said. The brokers’ council said it is aware of much higher premiums being offered by some companies for specific contracts. “These premiums show that the market signals are flowing back to Australian wool growers to help them in their management decisions about mulesing,” Mr Colley said. “It is very encouraging to see that 12.6pc of all wool offered at auction this season to January 2019 was declared as non-mulesed. “This is a record proportion and shows that Australian wool producers are responding to the market,” he said. AWEX has also reported that as of January 2019, 10.9 percent less bales in January and 11.9pc less in the July to January period, were offered at auction with a non-mulesed (NM), ceased mulesing (CM) or pain relief (PR) mulesing status declaration than in the same periods last year. However, 41.5pc of all first-time offered bales in the July to January period had a NM, CM or PR Declaration compared with 39pc in the same period last year. Elders district wool manager Andrew Howells said more wool buyers were now seeking declared non-mulesed wool and sourcing volumes of NM wool, although finding lines with the specifications to suit buyers was still an issue. Non-mulesed wool producers increased their range of potential buyers and some processors were only prepared to buy wool from NM flocks or those that have ceased mulesing, he said. The NCWSBA also noted that the discounts for lots of Merino wool that do not have a National Wool Declaration are now between 5 and 13 cents/kg. “The discounts for wool that does not have a National Wool Declaration have risen this season to as much as 13 cents/kg. “We encourage all Australian wool producers to declare their wool, regardless of mulesing status of their wool to avoid this discount.” Mr Colley said.